Sue is a wild child of the south Georgia swamps. As a young girl born with a liberal, artistic sensibility she grew up in the middle of the puritanical south transported around her little town by her Daddy's pickup, one hand holding on to her Carson McCuller's novel, the other leg hanging out a window. It is out of this continuing mental dichotomy that Sue weaves her musical tales of recovery, tortured love lost, hope, and a positive metamorphosis out of life's pain. 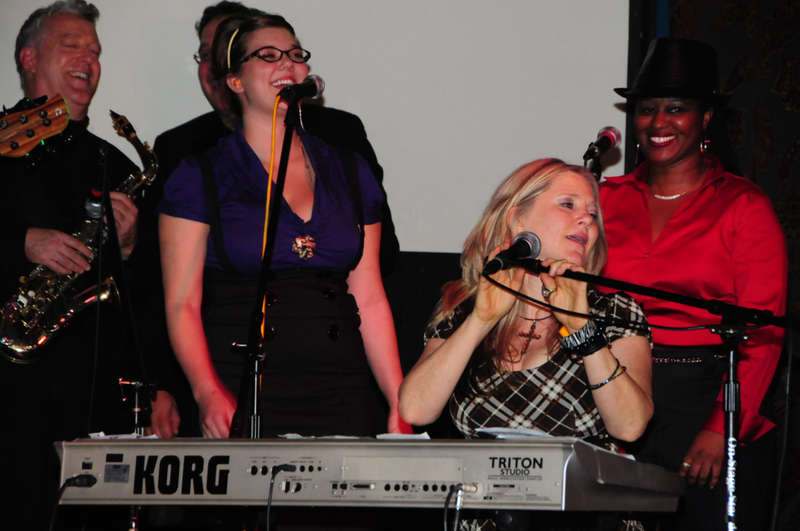 Sue's music is inspired by Ray Charles, Aretha Franklin, and Pink Floyd. She has combined these blues, rock, soul, and psychedelic characteristics into unique masterpieces throughout her music career. In 2005, she created her solo album Little Crimes, which was followed by her 2012 solo album Treasures. For Sue, R&B isn't ordinary music, "It's unpretentious, light, devil-may-care, soul-rousing music, and the kind of music I like the most. When I'm up there, singing and pounding the keys, I'm having a total body experience. I'm ripping out the music, improvising, taking it up high and low down. I love the physical and the emotional sensations of R&B music, what I hear, feel, see while I'm in the music and the music's in me." Sue has a long history of live performance including tours of Japan, England and Scotland as well as Denmark, home to her Danish label, AP Records. She has shared stages with and/or opened up for The Red Hot Chili Peppers, Pearl Jam, Art Garfunkel, Grateful Dead's Bob Weir, Hem, The Indigo Girls, Jane Siberry, Acoustic Alchemy, and Michelle Shocked. Her awards include an International Telly Award for a documentary original instrumental score Sue co-composed with former Steve Morris bassist Jerry Peek, and Nominee Best Rock Band in Georgia at the Coca Cola Music Awards. "My life has been a mix of many seemingly opposite things. I'm from the deep, deep south so you can hear the blues and maybe a little country in the music, but I was trained classically and listened to classical music as well as to a ot of the English pop music from the 80's and 90's so you can hear that, too. I was weaned in my little town's conservative Baptist church, but I also was very much a free thinker which most artists are, so alot of my ideas are an amalgamation of both these things. All have had to merge at this point in my life or I would be nuts! You can't be a liberal artist in the bowels of the south without being a little kooky! So my music reflects these diverse and sometimes opposing forces."